Do you believe in fate? Do you believe in soulmates? By the time I finished reading All Your Perfects, I sure do. You have no idea how much I love this book! I'm going to be honest with you; I wasn't able to connect with Colleen's last two books, like I have with all the others. I know, how could I not love EVERY SINGLE BOOK my favorite authors writes? Well, I guess it happens. And I am so happy that All Your Perfects reminded me of why I fell in love with Colleen's books in the first place. All Your Perfects was what I expected and more. Colleen gave us our angst, like the Angst Goddess that she is. But one thing is for certain, Colleen loves to torture us readers. LOL But rest assured, that by the end, she will give the characters the HEA they deserve. Do you believe in fate? Quinn and Graham meet in unusual circumstances, to say the least. (You have to read to find out) LOL Even though it was messed up, it was pretty funny. I think it was fate that brought them together (besides Colleen that actually created these characters, but you know what I mean.) They were just meant to be. Fast forward a few years, and they are married. We all know marriage isn't easy. Sometimes we just grow into different people and want and crave different things. This book definitely hit a spot with me. I can relate to these characters because of their struggles. I don't want to say more than that because I don't want to give anything away. So if you are a CoHort, you are going to fall madly and deeply in love with All Your Perfects. And if you are not a CoHort, I promise you will be after reading it. Cause you can't just read one Colleen Hoover book. 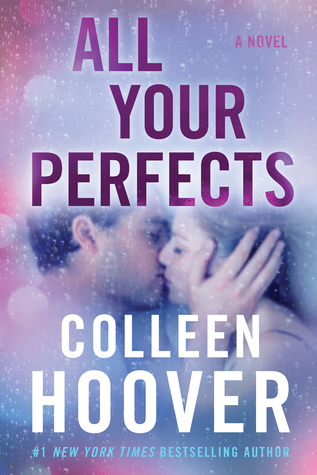 So, for all you people out there looking for a book that will punch you right in the feels and make you look at life a different, All Your Perfects is the book for you!